In September 2017 Pinterest started to use hashtags. It is still a very new feature for bloggers and users alike but hashtags are taking off right now and probably will become more popular on Pinterest in time. I want to share with you a few tips on using hashtags on Pinterest (mostly in the sewing blogosphere because I have a sewing blog). Hashtags are new on Pinterest and so am I as a sewing blogger. And I was wondering if it’s worth paying attention to hashtags, what hashtags I can use within my niche, why would I use them, where I can find them, and how hashtags are working on Pinterest so far. And here are some results that I discovered during my research. Here is the direct link to the list of sewing hashtags if you don’t feel like reading the whole article. It is a word or group of words (in social media) that comes after the # pound sign (or hash) and used to search for information on a specific topic. And this pound sign turns a word or phrase into a searchable link. Hashtags make it possible for people to easily find content on a specific theme. Are hashtags different on Pinterest compare to Instagram and Twitter, etc.? Why would I use them on Pinterest? 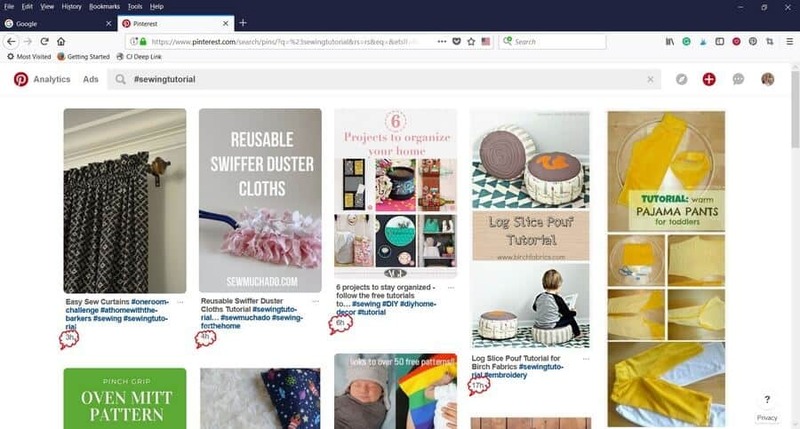 When a user is searching with a hashtag – Pinterest is showing all current pins that have utilized that particular hashtag. So if we post new pins with hashtags consistently at the time when our audience is most active on Pinterest we will get better visibility and our pins will appear in most recent search results. Using hashtags on Pinterest may be a good way for new bloggers who don’t have many followers to get “pin exposure”. Hashtags in pin descriptions will link directly to pins using the same hashtag. 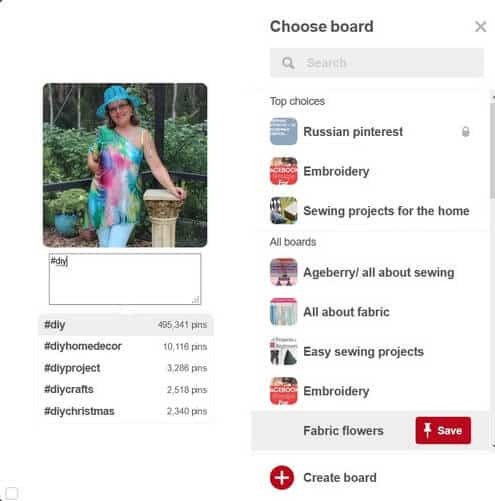 How to use hashtags on Pinterest? What are the best practices in using hashtags on Pinterest? 1. Include no more than 20 hashtags on a single pin. But it is better not to overuse them and include only 3-5 in each pin description. Pinterest allows only 500 characters in total to include in a pin description, and it better be keyword-rich than hashtag-rich description. I wouldn’t want to insert too many hashtags that will eat up the space in the pin description which is limited to 500 characters. I prefer to write compelling and keyword-rich descriptions. 2. Use them together with keywords. Hashtags don’t cancel keywords. Keywords are still the best for gaining traffic to our blogs and for our pins to be discovered. They are still most important for Pinterest strategy. On Instagram people are searching with hashtags all the time. But on Pinterest it is different – people are searching with regular keywords more (like on Google and other search engines) and this search is not going away because that’s how our brain works. 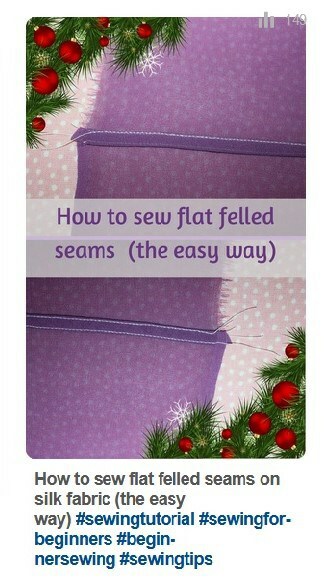 I guess people are much more likely to put in search the phrase “how to sew flat felled seams” than #howtosewflatfelledseams (at least for now when hashtags are not that popular on Pinterest). Spend time on good pin description: use correct keywords and add hashtags in the end. 3. Use them only in pin descriptions. Don’t put them in board’s names or board’s descriptions – they are not going to be links (and that’s the whole point of hashtags). 4. Put hashtags at the end of a pin description. If you put hashtags at the beginning users may click on one of them and go away from your content. So viewers will be less distracted if you put hashtags at the bottom. You don’t want to distract a user away from saving your pin or reading your post. So here is how one of my pins looks like with hashtags in it. You can see that hashtags are links in blue. And they link directly to pins using the same hashtag. I noticed also that if I search for certain hashtags on Pinterest the results in the feed are very focused. I didn’t see sponsored and promoted pins in any hashtag feed yet (maybe it will change soon, who knows) For example I put keywords “sewing tips” – and the results were mixed: some posts were not about sewing at all. Check this screenshot (it has makeup tips in it). But when I searched with the hashtag #sewingtips – the results were very exact and focused: all about sewing and nothing about makeup or blogging. I guess it is really good for users looking for a specific content and answers to their problems. So if you use hashtags in your pin descriptions you have a better chance of showing up in search results for that hashtag. And it means that more people will see your content. How to find or create hashtags for your pins on Pinterest? What are good hashtags for Pinterest? I see that Pinterest is suggesting some more or less popular hashtags when I write a pin description for a new pin. 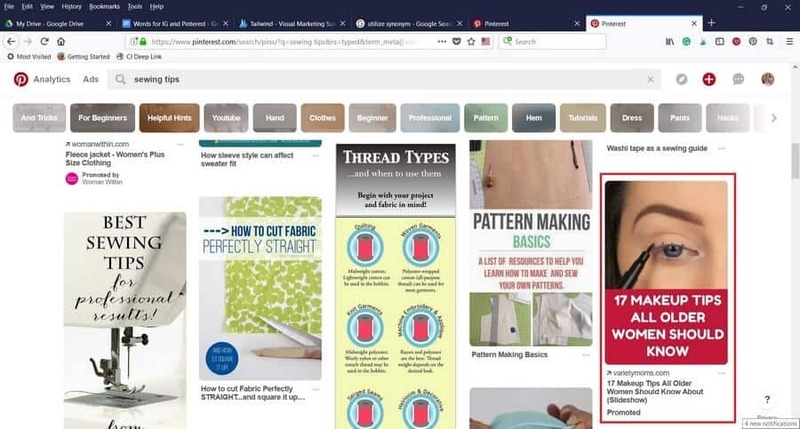 When I upload an image from my blog I have to add a description for every pin, so I press pound sign # and start typing in a keyword relevant to my topic (sewing in this case, or diy) – and Pinterest gives me a few suggestions and even a number of pins under each hashtag. Here are the screenshots. Also, when I type a hashtag in the search bar Pinterest suggests some hashtags connected to the hashtag I typed in. For example, I typed #sewing and Pinterest suggested these hashtags: #sewingtutorial, #sewingbee, #sewingtips, #sewingcleo. So we can do hashtag research like this. But it is still early to rely on Pinterest for this to find really relevant hashtags. For example, I have no idea how this hashtag #sewingcleo suggested by Pinterest is relevant to my pins about sewing with natural silk (“Cleo” in this case is a name of a sewing pattern for some kind of a pinafore; #sewingcleo is a popular Instagram hashtag). It is better if the hashtag describes or somehow represents the pin image. Try to make them descriptive and relevant to the pin’s content. They should be easy to spell, easy to remember. And searchable also. We hope that people will be searching Pinterest with hashtags more and more. I think it helps to use hashtags as a Pinterest user, not a pin creator. When writing pin descriptions try to think what hashtag users would put in the search bar if they wanted to find pins similar to yours. Use hashtags that people are likely to search for. Consider adding to the same pin some timely hashtags to promote time-sensitive content and evergreen hashtags. 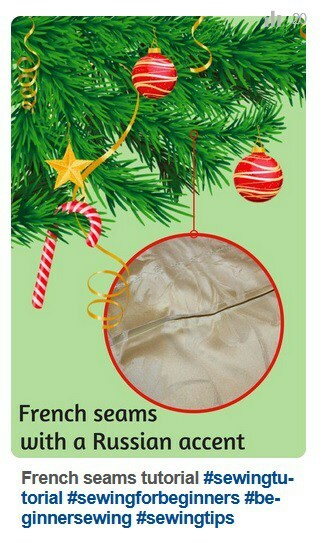 For example, you make a pin about sewing some Christmas ornaments. You can use a holiday hashtag like #diychristmasornaments and evergreen hashtag like #easysewingproject. Use some broad and specific hashtags together. Broad hashtags are usually more popular (like #sewing for example) and have lots of pins in the search feed, they are active and probably viewed more often by people searching for this hashtag. But if it is true then your pin will only be shown at the top of search results for a limited time and will go down of the search feed quite fast. In the sewing topic, there are no overly competitive hashtags yet. Even the most broad hashtag #sew has around 5 000 pins and at the top of the feed there are pins that were pinned a few hours and even days ago ( so the count is not going for seconds as on Instagram). I also notice that some sewing bloggers use very general hashtags like #DIY or #craft. I wonder if this is a good tactic. You want to attract the right people to look at your pin and if you put just #DIY or #craft – maybe not all of them are looking for sewing but also for woodworking, knitting, etc. 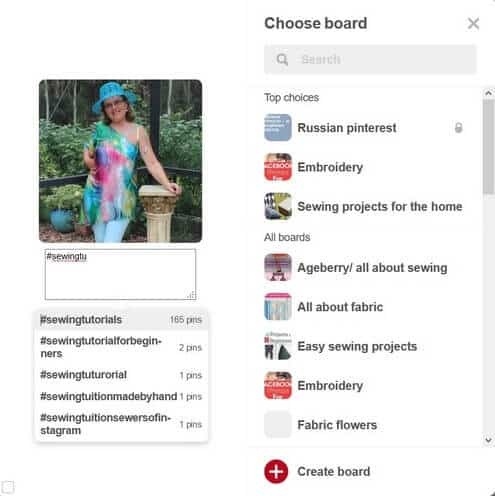 So maybe it is better to make sure that hashtags are relevant to people searching on Pinterest for sewing tips and inspiration. Targeted and specific hashtags (like #sewingtips, #sewingideas) have fewer pins and they are less active, so pins with these hashtags will stay in the feed longer. Niche very specific hashtags have even fewer pins but it also means that if people are looking for them they are really interested in this content. There are also branded hashtags – they represent some brand on Pinterest. Some bloggers create a specific hashtag with their blog name – but it is not very popular on Pinterest yet. But it may be a good practice if you want to keep users on your blog. 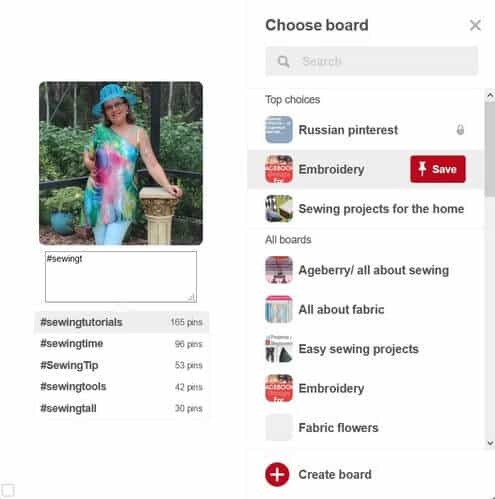 For example, if you use hashtag #sewing and users click on it – they will be taken away from your pin to the feed with all pins that have this particular hashtag. If you use your own branded hashtag and users click on it – they will be taken to the feed with only your pins (well, mostly your pins) which is good for your brand. But if the pin is only about your brand – most likely other people are not interested in using it. And probably nobody will put this hashtag in the search bar. But it might work if your pin goes viral: so every time people see your hashtag they will remember your brand. Do we need to update our frequently repinned and popular pins if they don’t have any hashtag in them? I notice that if we just update pin description it will not work – because the pin is still old, and only new fresh pins with hashtags are going to the search feed on Pinterest. The hashtags will be still visible (as links in blue) but if you go to the feed the updated pin will not be there at the top. I tried to update pin descriptions (to include some hashtags) while repinning some of my old pins (saving them to different boards) and it didn’t work also. So I guess there is no point in updating old pins. Now you can utilize Instagram images together with their hashtags so one image can work on both platforms. Isn’t it nice? Pinterest mentions that the second best aspect ratio now is 1:1 – and it is square images! It means not all of them has to be tall. Those ones from Instagram can stay square. I use Tailwind to pin some of my Instagram posts but I have to delete most of the hashtags as I usually put 30 of them on Instagram. Are Instagram hashtags good on Pinterest? Well, they will be in time I guess because Instagram images are being pinned more and more often. I even created a special board where I pin only my posts from Instagram. And good thing is that I don’t need to link all my pins from Instagram to my blog posts (there are many images in my Instagram feed which are not connected with any page on my blog), these pins will be linked to my Instagram feed directly. Hashtags on Pinterest are not widely used yet. But I see that some sewing bloggers already add them to pin descriptions. 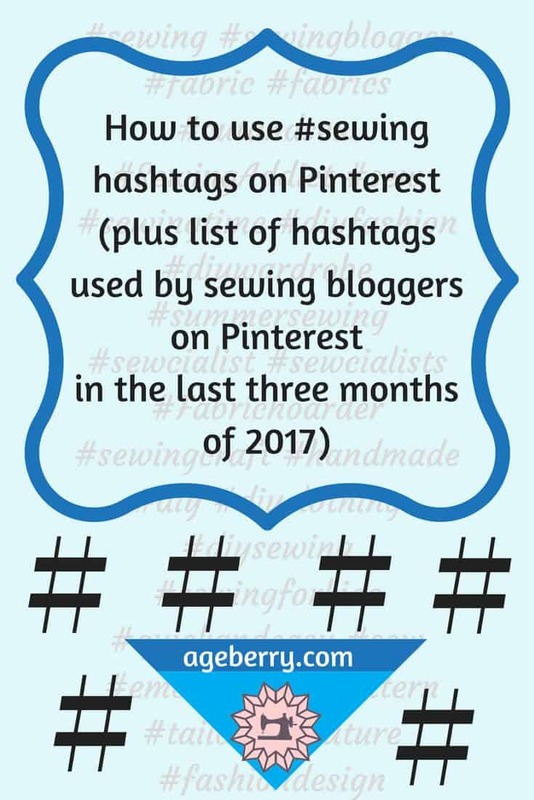 So I tried to explore different hashtags within my niche and was experimenting with hashtag searching and came up with this list of sewing hashtags that already been used by sewing bloggers on Pinterest. So this is the list of hashtags I found in pins about sewing. I guess it will take a few months to start working really well. We will have better ideas in the future but we have to start with something, right? Stay tuned and check often what changes are happening and see what works and what doesn’t and what hashtags are getting more popular. One last note. Keep your hashtags organized. As I will use them over and over I want them to be available for me all the time, so I put them in my Google doc. And I store them on my phone (in notes) also. So I copy and paste them easily when I make a new pin. It will be interesting to see how it will develop. Did you try using hashtags on Pinterest? How did it go? Please, complete a small survey.